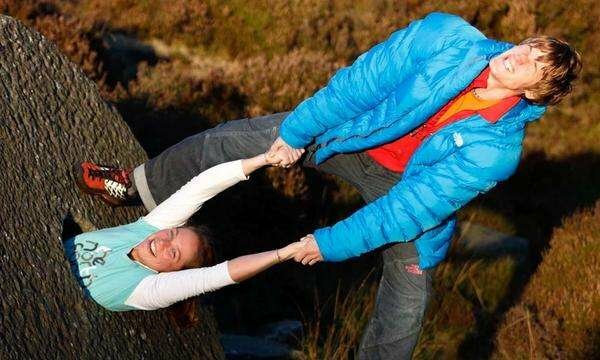 We at Mossy Earth are very excited to announce that professional climbers James Pearson and Caroline Ciavaldini (sponsored by The North Face & La Sportiva, and co-founders of the Once Upon A Climb project) have decided to team up with us and carbon offset all their future climbing trips. – This is a bold and selfless move on their part to carbon offset their travel, give back to nature, fight climate change and inspire a generation to follow suit. 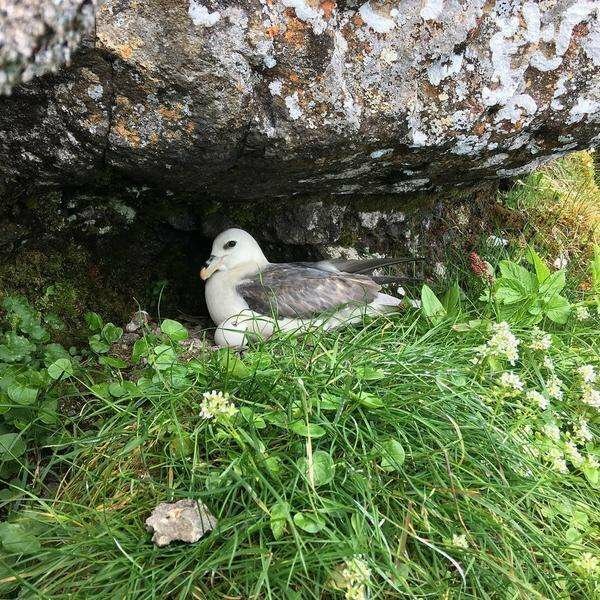 We caught up with them shortly after they’d returned from an incredible trip to the Faroe Islands. COULD YOU TELL US A LITTLE BIT ABOUT YOURSELVES AND ONCE UPON A CLIMB? James and I have both been climbing for as long as we can remember and we are very fortunate to have become professional athletes in the sport we love so much. James is from The Peak district in the UK, and I from the tropical island of Reunion. Some years ago James and I realised that our main goal in climbing, and perhaps in our lives, has been to share our stories in an attempt to motivate and inspire others to climb. Why? Because for both of us, climbing has made a huge difference in the people we’ve become, in the experiences we’ve shared, and in the people we’ve met along the way. Climbing has pushed us to travel and understand parts of the world that we would have never grasped otherwise. Finally, it has become a way of life that is less focused on physical possession, and more on harmony with the outdoors. So if Once Upon A Climb motivates more people to climb, then hopefully it will play its small part in them having a happier life and a greater awareness of nature. 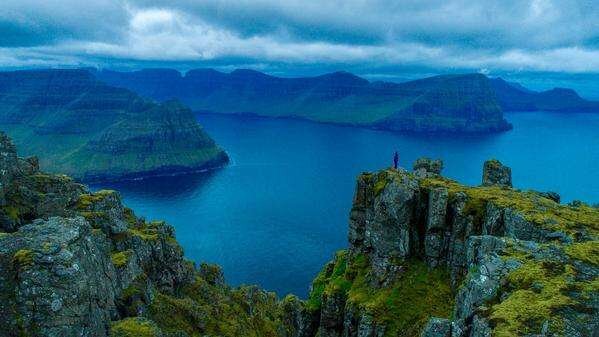 TELL US ABOUT YOUR LAST TRIP TO THE FAROE ISLANDS? So James had this idea a few months ago of organising a ‘different’ trip. While most climbers search for the best rock, British climbers have a unique tradition and love for climbing on terrible, loose rock, like the white chalk cliffs of Dover! 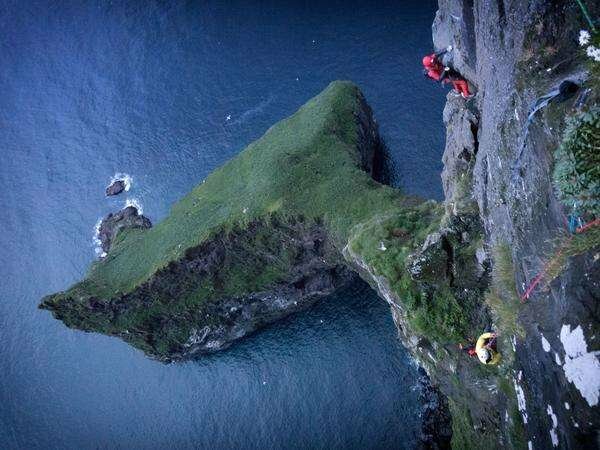 In the Faroe Islands lies Enniber, which is regarded as the highest sea cliff in Europe, and is made up of loose rock, vertical grass and aggressive sea birds that like to vomit on intruders …the perfect recipe for Adventure! WHY AND HOW DID YOU CARBON OFFSET THIS TRIP TO THE FAROE ISLANDS? For 2 years now, James and I have wanted to carbon offset all our flights and car miles when travelling the globe, but despite numerous searches on the web and contacting different carbon offset organisations, we couldn’t find one that met our criteria. We wanted the trees to be planted in Europe (local to us), and we wanted to be absolutely sure that the money was actually going to planting native trees in the right places, and that the trees would remain for 40+ years to ensure all our carbon emissions were offset. Mossy Earth, co-founded by our friend Matt who we entirely trust, met all of our criteria. And so we’ve decided to carbon offset all future trips with Mossy Earth, who plant the trees in rewilding projects throughout Portugal, Ireland and Romania. WHY IS PRESERVING / PROTECTING THE ENVIRONMENT IMPORTANT TO YOU? You can’t be an outdoor climber without becoming aware of the nature that is always around you at the crag; the trees, grass, bushes, birds, and deer in Europe, and even monkeys, snakes, and leopards in Africa! When you go to the mountains, you quickly become aware that the glaciers are indeed receding. On top of that, I am a biology teacher, and studying biology makes you very aware that humanity is at a turning point: either we really start taking measures to protect the planet, or very soon, we won’t be able to show our children a lot of our plants and animals other than in videos and pictures. Mossy Earth fights to rewild and carbon offset emissions, which is exactly that fight! WHAT DRIVES YOU TO PROTECT THE ENVIRONMENT / FIGHT CLIMATE CHANGE? We are all aware that our lifestyles generate carbon emissions that will drive to species extinction and global warming… we are already beginning to feel the effects, and our children even more. James and I don’t have any children, but we may have some one day, and even if we don’t, we have nieces and nephews, kids of friends. I would hate to see the next generation resent us because we knew we had to do something to save the biodiversity, to slow down global warming, and we didn’t, because our present comfort was more important. WHAT IS YOUR KNOWLEDGE / EXPERIENCE OF REWILDING? I don’t know much about the process, but of course if you want to recreate the original habitat of an ecosystem that was destroyed by a fire / catastrophe / or humans, then you have to start with the vegetation, that will then provide the habitat for the animals. SO you have to figure out first what species grow there naturally, and you only give nature a little hand, but replanting the same species… and then nature can start over! IF YOU COULD BRING BACK ONE EXTINCT SPECIES OF ANIMAL WHAT WOULD IT BE AND WHY? 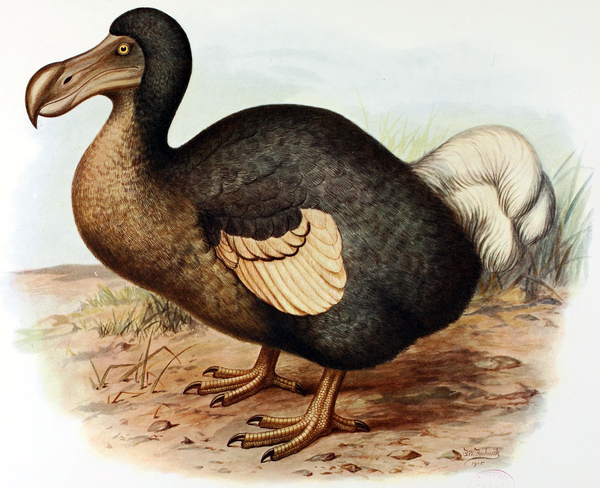 I grew up on Reunion Island, whose emblem is the Dodo… a big bird that was decimated by the first humans who arrived on the Island, only a few centuries ago. Reunion was a virgin Island with no predators, and the Dodo was a species that had evolved to become unable to fly… of course it was the ideal dinner, easy to hunt and delicious. I wonder, and will have to keep wondering, how Reunion Island must have been then. In September James and I will be visited by two friends from Philippines who were fundamental in the beginning of SPOT, a small association we started to send climbing material to countries who can’t afford it. That should be a boost to the association. And then in October and November we’ll fly to the USA for a climbing trip where James has a project (which we’ll carbon offset). We are very aware that the solution isn’t totally perfect: ideally we wouldn’t emit the carbon in the first place… But that is better than not doing anything. If you’d like to learn more about James and Caroline’s adventures, and/or ways of carbon offsetting with Mossy Earth, then check out Once Upon A Climb and Mossy Earth respectively. Thanks for reading!